Let’s go back again in Piedmont to visit a place where we went many times for romantic weekend before becoming parents. Our goal this time is Arona, quiet town of Lake Maggiore that gave birth to a famous catholic saint – Saint Carlo Borromeo – where even today his big statue, named “Sancarlùn”, dominates the view from the hill, hugging the lake and the surrounding mountains. In our memories the Maggiore Lake was made of sun, flowering islands, boat trips and tourists but when we went there with our child was February, during the weekend of Saint Valentine Day. Despite of the season Arona and its Lake gave us an early springtime weather, with sunny days and boats that rippled the placid surface of the water. 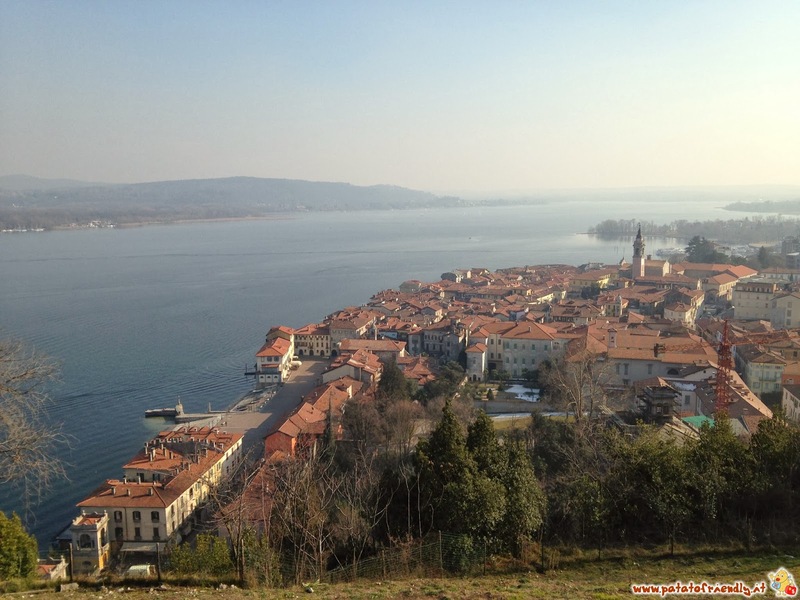 I try to give you some ideas to spend a weekend in these area of Italy, based on this family trip and on memories of our past holidays on Maggiore Lake. I recommend you, if you can, to come here during springtime. In my opinion this is the best period to visit Lake Maggiore in order to appreciate the nature of this area. May (the month of the azaleas) is my favorite for a trip to the Borromean Islands, but for every month you can se the calendar of blooms and choose the period of the visit on the basis of flowers we love the most! However, any time you choose, here are my tips for a weekend at Maggiore Lake with kids. Dedicated the first day at Maggiore Lake to visit Arona and its surroundings. Spend the morning exploring the town with its village, marvel at the churches and museums, quiet walks along the lake and climb up to Rocca, relaxing and admiring the beautiful panorama from the top. In the afternoon go to the gigantic statue of Sancarlone overlooking the surrounding valley, stopping at the basilica and, if the weather permits, ending the day with a trip to the “Parco dei Lagoni”. In the evening, if you’re not tired and the weather permits, you can enjoy a sunset cruise in the Gulf Borromeo. Finally, I point out that Arona is a nice playground for the kids right on the lakefront for a nice stop “child-friendly” between a visit and another! During your second day on Maggiore Lake go down to Stresa, visit the town and then take a boat to Borromeo Islands, enjoying the beauty of the gardens in blooming. Maggiore Lake offers accomodations for all budgets. 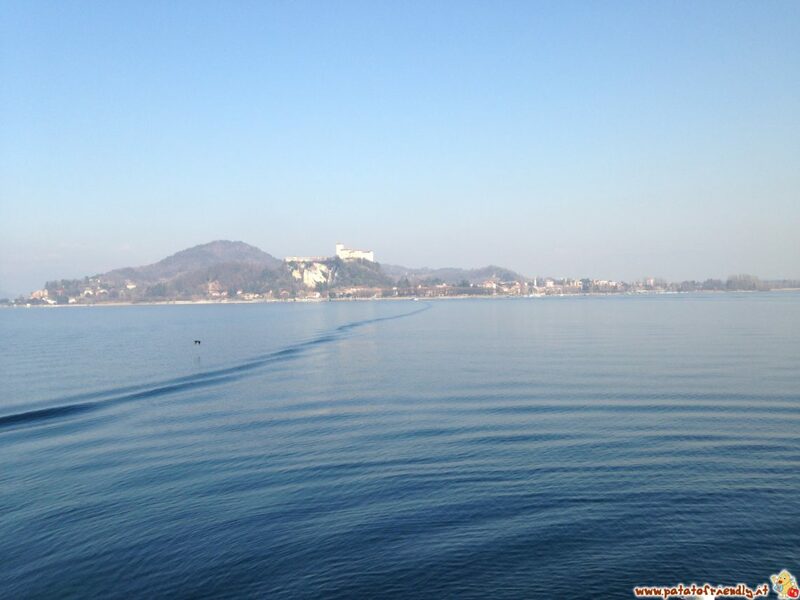 Here I suggest you a”classic” hotel; the Hotel Concorde in Arona, in a wonderful position overlooking the lake. The hotel has free parking and it is located 5 minutes walk from city centre. The restaurant is very good and the staff very kind. But there are many B&B, hotels and there is also a camp site suitable for campers right next to the Safari Park in Pombia (Camping Safari). Ristoro Antico (located in Arona): This is a family restaurant specialized in Marche Region cuisine and managed by two grandparents. In the bathroom there is a cabinet put there on purpose to serve as a changing table for babies but unfortunately there were no high chairs … but … work in progress! Twins American Bar and Restaurant (located in Dormelletto): In this bar and restaurant there is a baby changing table and baby chairs and a lot of attention to the children. Here you can eat tasty (and huge) burgers, pizzas and grills. The area aroud Novara is rich in rice and rice is one of the main ingredients of the cuisine of here. Among the meat used for the preparation of the recipes is the goose meat and frogs (not horrified, they are delicious, especially fried!). And finally, do not forget that we are still in Piedmont and there are excellent wines here: try Ghemme wine, Nebbiolo, Barbera, Vespolina … and more! La Rocca Borromeo (Arona): from the fortress you can enjoy a wonderful view of the city and the lake and beyond to a small refreshment bar and the meadows there are also some games for children, a trampoline … and animals! For now waiting for the children there are goats, chickens, ducks and swans, but soon will also come … the donkeys !! Lagoni Park (Mercurago): The park is a UNESCO heritage site and there are several paths that will fascinate the little ones, from the archaeological to productive activities and to the woods. In the park there is also a horse farm. Safari Park (Pombia): A zoo safari with animals, falconry shows, reptile, insectarium, aquarium and … the Luna Park! Gottard Park (Castelletto Sopra Ticino): an innovative transportation museum that usually really like the big as well as small, with cars, motorcycles and vintage tractors, airplanes and large means and … a go-kart pedals! The Cableway Stresa-Mottarone and Alpyland: from Stresa you can go up by cable car to the Mottarone and, in addition to enjoy the spectacle of the lake and valleys, once at the top you can launch into an exciting race over a kilometer on small sledges anchored to the rails with Alpyland. Suitable for older babies and fearless! For those who want something quieter half way you can stop to admire the Alpine Garden of Alpinia, with more than a thousand plant species coming from the alpine and subalpine. It is an intermediate stop of the cableway in the “Alpine”. Trip on the boat: I love boat trips and the fact I always do when I get the chance! By then the baby is a good way to stay warm (winter) looking at the view … and cuddling her up! Lake Maggiore proposals are not lacking there is also the possibility to do a sunset cruise! Archaeological Museum (Arona): This collection features findings from the city and from the Basso Verbano, a “history lesson” to remember that in the beautiful country there is so much to learn and see! Mineral Museum (Arona): I really like minerals and stones and admission is free. Villa Pallavicino (Stresa): zoological and botanical park with many animals including zebras and kangaroos. 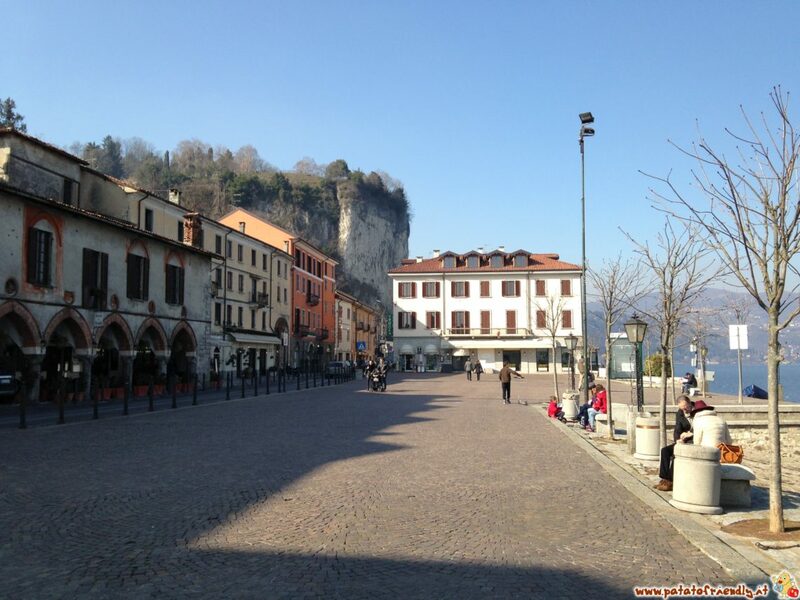 There can easily be reached from the center of Stresa on foot, but in “high season” you can take the little train that goes around the city and part of the center.